Does the winter frost threaten to freeze your scalp? Does the summer sun threaten to fry it? Freeze or fry or any phase in-between, nothing beats a proper hat to tackle whatever discomfort you feel at any season of the year. You may choose your headgear from a vast variety ranging alphabetically from baseball cap to zucchetto (if you happen to be a Roman Catholic cleric). A woolen knit-cap with or without a pom-pom would probably defend your head when weather is chilly, and a visor-hat should help prevent the sun from scalding your nose (unless you are in the habit of wearing your hat with the visor behind). The need to cover one's head has been understood by humans ever since the hat was invented sometime at the dawn of history. Along the millennia, hats have metamorphosed into abundant styles dictated by needs and fashions. 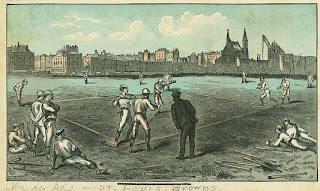 Why was January 15 chosen as this special day? As the story goes, on January 15 1797, an English haberdasher whose name was John Hetherington was fined by court to the amount of £500 on the charge of breach of the peace and inciting a riot, having frightened women, children and even dogs by appearing in public wearing a silk top-hat which he had invented and never seen before. Although this tale is most probably nothing more than a fable, the date January 15 was proclaimed to commemorate it. The earliest known evidence that humans wore hats appears in drawings on engraved stones dating back to about 15,000 BC. The stones were discovered in 1937 by Leon Pericard and Stephane Lewoff in a cave near Lussac-les-Chateaux in western France. The first performer to pull a rabbit out of a hat was the French magician Louis Comte who performed the act in London in 1814. 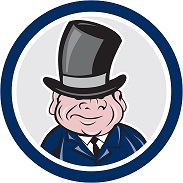 London black taxi cabs have tall ceilings in order to accommodate gentlemen who wish to keep their tall hats on their heads during the ride. 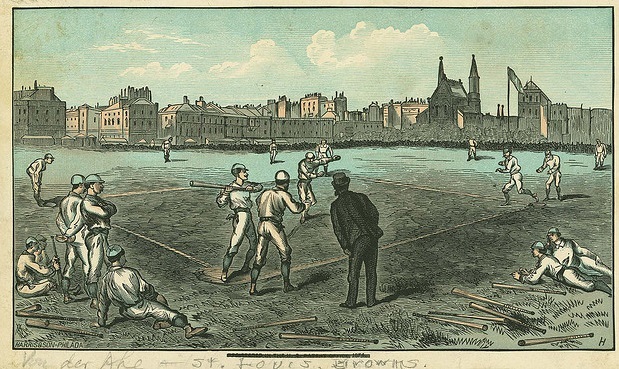 In the middle of the nineteenth century, baseball umpires used to wear brimmed hats. The traditional tall white toques that chefs wear on their heads have 100 pleats that represent the 100 ways to cook eggs. The toques were originally designed by the French chefs Marie Antoine Carême and Auguste Escoffier. 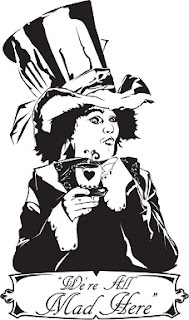 The term "Mad as a hatter" originated in the Victorian era, when some workers in the hat industry were inflicted by mercury poisoning in the course of producing felt hats. In some cases the contamination caused brain damage that brought about madness and occasionally even death of the victims. The mad hatter character in Louis Carrol's Alice in Wonderland book was inspired by this term. The Fedora hat was called after Princess Fedora Romanoff, heroine of the play Fedora by nineteenth century French dramatist Victorien Sardou. 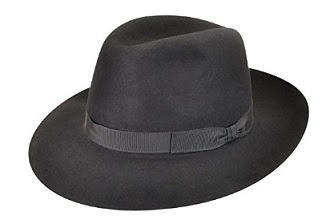 Originally designed for ladies, it is worn nowadays by both sexes and popular among gangsters, detectives and celebrities. A strange practice customary in America in 1920 was to beat up people who wore straw hats after September 15. Now guess where Panama hats originated! Panama, you say? Nope, you guessed wrong! The answer is Ecuador, where in the mid 1600's hat weaving evolved as a cottage industry in villages and small towns mainly along the coast. 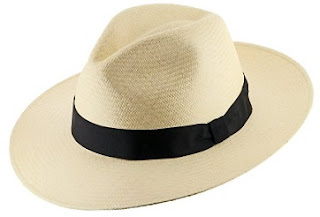 Nowadays Ecuador is the main producer of Panama hats. The pointed conical paper hat, known as the dunce cap, was used in the past by teachers to discipline pupils who misbehaved in class, labeling them as dunces. 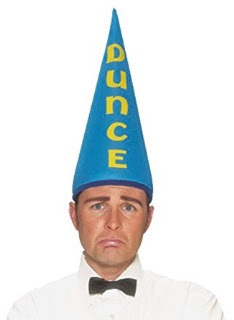 The word "dunce"' which is synonymous to "fool", is believed to have evolved as a misspelling of the first name of Duns Scotus (1266-1308), a renowned philosopher and theologian. According to legend, Duns Scotus recommended that conical hats should be worn to stimulate the brain. Thus, the name of an outstanding thinker who more than 700 years ago bore a significant mark on modern philosophy has been coupled with a very derogative term. Sic transit gloria mundi! 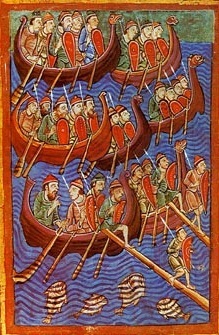 Contrary to popular belief, there is absolutely no evidence that the Vikings wore horned helmets. Queen Elizabeth the First proclaimed a law obliging every person from the age of seven up to wear a hat on Sundays and holidays. In Wyoming, USA, the law forbids wearing a hat that obstructs the view in the theater or any other place of entertainment. If you wear a hat while dancing in North Dakota, you are breaking the law and might be sent to jail. 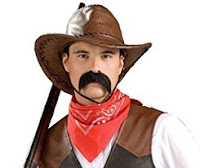 In Kentucky, USA, men are forbidden by law to purchase 10-gallon hats unless their wives help them to choose the style. Wear a hat! If that is what you usually do on other days, wear a different hat, preferably one that you would never wear on other days.